The Atrix 4G is an interesting animal. It's a capable, if somewhat ordinary, Android smartphone that offers better-than-average specs (higher-res display, dual-core processor). Using the phone by itself is a speedy experience all around, and, if you don't mind Motoblur, it offers all the tools that you come to expect from a smartphone. The battery life, however, is a real deal breaker. Any phone that can't make it from 7AM to 11PM is a dubious purchase at best. With such poor battery life, it makes almost no sense to buy this phone without the laptop dock. However, if you have no problem charging it every day while the office and/or on a long commute home, or don't mind carrying a spare battery at all times, the Atrix 4G does offer plenty to like. If battery life is a vital feature that you need, I'd suggest you steer clear. Bottom line? 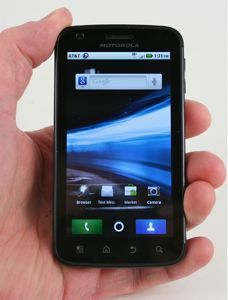 I give Motorola credit for the idea behind the Atrix 4G and the laptop dock, but the execution is somewhat lacking. Fix the battery life and shore up the performance when connected to the laptop dock and the Atrix 4G could easily be used as a netbook/laptop replacement.